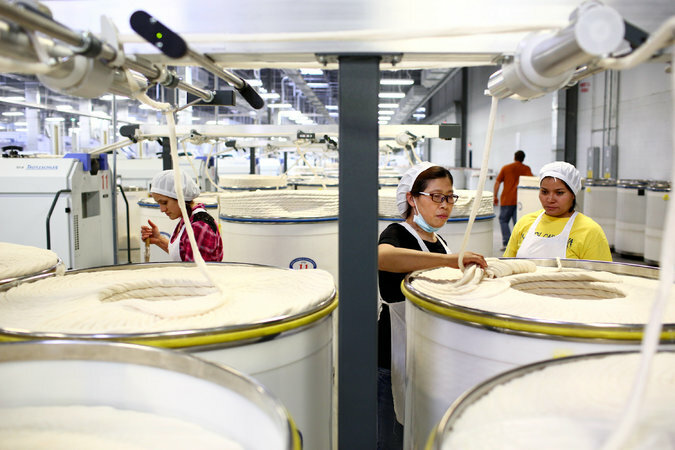 Once the epitome of cheap mass manufacturing, textile producers from formerly low-cost nations are starting to set up shop in America, reports The New York Times (Aug. 3, 2015). It is part of a blurring between high- and low-cost manufacturing nations that few would have predicted a decade ago. Textile production in China is becoming increasingly unprofitable after years of rising wages, higher energy bills, and mounting logistical costs. At the same time, manufacturing costs in the United States are becoming more competitive. In S.C., Keer has found residents desperate for work, as well as access to cheap and abundant land and energy and heavily subsidized cotton. Politicians have raced to ply Keer with grants and tax breaks to bring back manufacturing jobs once thought to be lost forever. “The reasons for Keer coming here? “Incentives, land, the environment, the workers,” said Keer’s chairman. “Everybody believed that China would always be cheaper,” said a partner at Boston Consulting. “But things are changing even faster than anyone imagined.” In the U.S., manufacturing wages have risen less than 30% since 2004, to $22.32 an hour. Yarn production costs in China are now 30% higher than in the U.S.
From 2000 to 2014, Chinese companies invested $46 billion on new projects in the U.S., with the Carolinas home to at least 20 Chinese manufacturers. Shrinking manufacturing jobs have spurred a willingness in places like S.C. to work for lower pay, making them increasingly attractive production bases. Global manufacturers have also been drawn to right-to-work states, where there is little unionization. ← The Dinosaur says, “If You Want to Check In, Press One.” Welcome to The Henn na – or Weird Hotel.